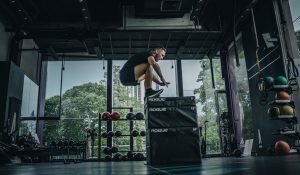 Get the Lowdown on BASE Coach Steve, a personal trainer offering high-quality coaching at one of our central Bangkok locations. 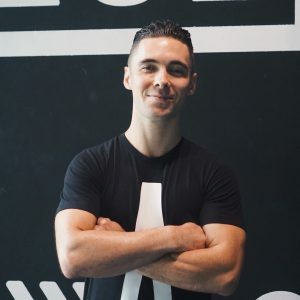 With over 8 years of experience, Steve specializes in mobility, strength training, Muay Thai, and Boxing. 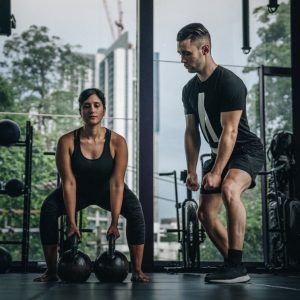 What’s non-negotiable for you when it comes to fitness and health? Fitness: Training at least 3 times per week but optimally 5 – 6 times. As it stands I’ve been doing a lot of base classes lately and keeping up 1 -2 Muay Thai sessions each week. Diet: Eating at least 2 meals daily of good, unprocessed whole foods. I really value my nutrition and the more nutrients within a meal the better! If I have time I really enjoy making protein pancakes or eating a big bowl of homemade granola! If I’m pressed for time then normally I will have a box of homemade breakfast cookies in the fridge good to go. These contain oats, nuts, dried fruit and a little dark chocolate. One of those keeps me going for a while! How do you manage your training and diet when you’re on holiday? I’m a naturally active person! I need a fair bit of stimulation and can find it hard to just “chill” for a whole day. In saying that, I like to set up lots of activities and adventures within the area I’m staying in. For example, snorkeling, diving, rock climbing, hiking, and kayaking. This combined with some fresh produce from the area keeps me in good shape! What’s your best strategy to stay motivated? Find your purpose, gift or passion and give this to the world as wholeheartedly as you can. I really love smoked or raw salmon and energy balls or cookies e.g. coconut cashew energy balls! I always try to use a trigger point or foam roller to break up any locked up muscle tissue and then make sure I get some type of high protein snack within 45minutes to aid in muscle repair! Sum up your dietary approach in a sentence? I’m a firm believer in balance, if you work hard all week with your training and diet then you’ve earned that burger or pizza on Friday evening. Truly caring for your clients and going above and beyond to help them achieve their goals. Finding what makes each of your clients’ tick and really focusing on that to provide them with a fun and motivating environment to transform their lives in. What’s the biggest diet mistake or misconception? That eating carbs will make you fat. I see way too many people on these weird salad and chicken or tuna diets and they just hit a wall in terms of how much weight they can lose. Adding in some good low GI carbohydrates before their workouts to give them more fuel which allows them to build more muscle and ultimately burn more fat. What are your top tips for how to keep your energy levels up? Come and train with me at BASE, eat healthy, nutrient-rich whole foods and spend more time in nature.